Welcome! Jewel Heart is just getting started in Texas and we hope you'll come to our early events and let us know what we can do to best serve your needs. Throughout the year we will offer guided meditations, workshops, and special events to help you find ways to bring peace, balance, and greater joy. 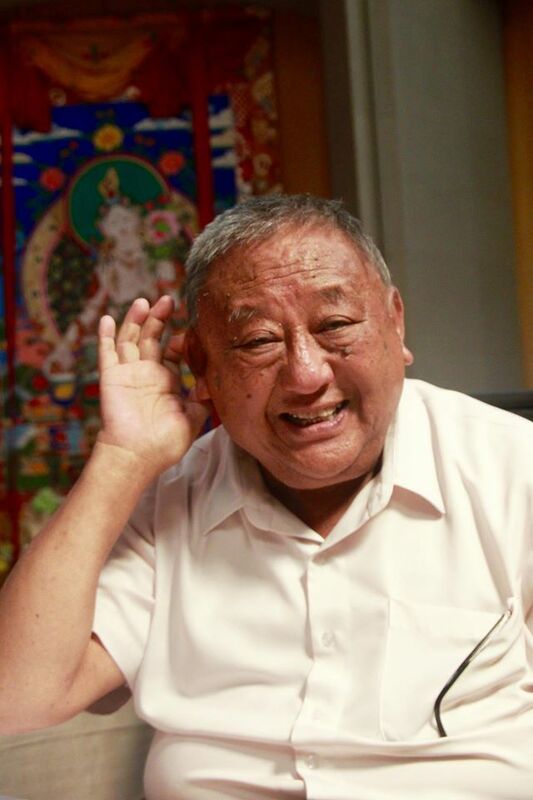 All programs are based on the authentic lineage and accessible teachings of Tibetan lama Gelek Rimpoche. Join us for a study group in which we will explore what it means to engage in spiritual practice, understanding our reasons, our purpose, and our goals. Based on Gelek Rimpoche's transcript, we will introduce the use of both analytical and concentration meditation as practice. The lightly edited transcript we will be discussing in the informally facilitated group can be purchased as an ebook on iBooks or Amazon, or from the Jewel Heart store store@jewelheart.org. Facilitated by Jewel Heart Instructor Amy Hertz. We begin the New Year by looking at enthusiasm, the mental factor and quality that powers our ability to accomplish any task, or achieve any spiritual development. Without enthusiasm, nothing gets done. We will look at how to cultivate enthusiasm so that it becomes a natural instinct, as well as what it means to engage the perfections in our daily lives. We will examine as well where and how the perfections fit in the graded stages of the path to enlightenment, according to Tsong Khapa's Lam Rim. Amy Hertz has been a student of Gelek Rimpoche for nearly 30 years. In her various positions at HarperCollins, Penguin and Random House, she has been the editor and publisher of some of the bestselling Buddhist books for a general audience including The Tibetan Book of Living and Dying, The Art of Happiness, The Universe in a Single Atom, several books by Thich Nhat Hanh, and Robert Thurman as well as Gelek Rimpoche's Good Life Good Death. An active Jewel Heart board member, she has lived in Miami, New York, and San Francisco, and is now settled in Houston, Texas where she is starting Jewel Heart Houston. Learn how one Brazilian engineer went from hippie to CEO of a multimillion-dollar company, bringing into the boardroom the principles he learned while on retreat with a Tibetan Lama in India and Nepal. Ronaldo Fraga harnessed his lived experiences to transform workplace culture, ultimately improving everything from employee retention to the bottom line. We will discover how leaders can engage in personal transformation to create an empowered, compassionate, and successful professional climate. Ronaldo Fraga is a mechanical engineer and executive, but it is his 40-year journey with Buddhism that he feels defines him more than anything else. Born in Brazil, Ronaldo began his Buddhist studies in Nepal with Lama Yeshe in 1975. He believes this experience put him on the path to eventually manage a successful manufacturing plant. A graduate of Emory University’s program in partnership with the Dalai Lama, Ronaldo is a certified teacher in cognitively based compassion training (CBCT). Please log in early and set up before Rimpoche begins. The above link and ID are valid for this new series of Rimpoche's Sunday teachings regardless of attending one or all.